WASHINGTON, D.C., February 28, 2017 – America faces deep political divide, but not when it comes to economic security in retirement. A new report finds that 76 percent of Americans are concerned about their ability to achieve a secure retirement, with that level of worry at 78 percent for Democrats and 76 percent for Republicans. Some 88 percent of Americans agree that the nation faces a retirement crisis, and the concern is high across party lines. These findings are contained in a new study, Retirement Security 2017: America’s View of the Retirement Crisis and Solutions, available here. The research is published by the National Institute on Retirement (NIRS) and is based on a poll of 800 Americans conducted by Greenwald & Associates. “If we learned anything from the recent elections, it’s that Americans are beyond angry about their economic insecurity. So it shouldn’t be surprising that Americans – Democrats and Republicans alike – are highly anxious about economic security in retirement,” said Diane Oakley, NIRS executive director. “We also find that across party lines, Americans strongly support state efforts to help Americans save for retirement. Yet, the House of Representatives passed a resolution that will hinder these state plans. Some 72 percent of Republicans support these state retirement plans, while 83 percent of Democrats are supportive,” Oakley explained. “If the new Congress and Administration are serious about addressing Americans’ economic anxiety, a bold first step would be to make a long-term fix to private sector pension funding rules and to strengthen Social Security. Our poll finds that 77 percent of Americans say that the disappearance of pensions is killing the American dream, and they are strongly opposed to cutting Social Security for current and future retirees,” Oakley explained. Across party lines, Americans are worried about economic insecurity in retirement. Three-fourths (76 percent) of Americans are concerned about economic conditions affecting their ability to achieve a secure retirement. For respondents that identified themselves as Democrats, the level of concern was at 78 percent compared to 76 percent for Republicans. Americans in overwhelming numbers continue to believe the nation faces a retirement crisis. Some 88 percent of Americans agree that the nation faces a retirement crisis. The level of concern is high across gender, income, age and party affiliation. Importantly, more than half (55 percent) strongly agree that there is a crisis. To ensure a secure retirement, three-fourths of Americans plan to work longer and to spend less in retirement. Americans regard pensions as a route to economic security in retirement, and see these retirement plans as better than 401(k) accounts. We find that some 82 percent of Americans have a favorable view of pensions. A full 85 percent say all workers should have access to a pension plan so they can be independent and self-reliant in retirement. More than three-fourths of Americans (77 percent) say the disappearance of pensions has made it harder to achieve the American Dream. Some 71 percent of Americans say that pensions do more to help workers achieve a secure retirement as compared to 401(k) plans, and 65 percent say pensions are safer than 401(k) plans. Americans say national leaders still don’t understand their retirement struggle, and they remain highly supportive of state efforts to address the retirement crisis. An overwhelming majority of Americans (85 percent) say leaders in Washington do not understand how hard it is to prepare for retirement, which held steady from 87 percent in 2015. Similarly, 86 percent say leaders in Washington need to give a higher priority to ensuring that Americans have a secure retirement. In terms of solutions, 82 percent of Americans say government should make it easier for employers to offer pensions. Action at the state level to expand access to retirement savings get a favorable nod, Americans believe that state-sponsored retirement savings programs for workers not covered by their employers’ a plans are a good idea (75 percent), and 81 percent say they would consider participating in a state plan. Protecting Social Security remains important to Americans. Some 76 percent of Americans say it is a mistake to cut government spending to reduce Social Security benefits for current retirees, up from 73 percent in 2015. When it comes to adjusting benefits for future generations, 73 percent oppose cutting government spending that reduces Social Security benefits. Americans strongly support pensions for public sector workers and see these retirement plans as a strong recruitment and retention tool. Americans strongly support pensions for police officers and firefighters (90 percent), and teachers (81 percent). Some 81 percent say these benefits are deserved because public employees help finance the cost from every paycheck, up from 77 percent in 2015. The survey was conducted as a nationwide telephone interview of 800 Americans age 25 or older in to assess their sentiment regarding retirement and actions policymakers could take to strength retirement. Greenwald & Associates balanced the data to reflect the demographics of the United States for age, gender and income. The margin of error is plus or minus 3.5 percent. The National Institute on Retirement Security is a non-profit, non-partisan organization established to contribute to informed policymaking by fostering a deep understanding of the value of retirement security to employees, employers, and the economy as a whole. 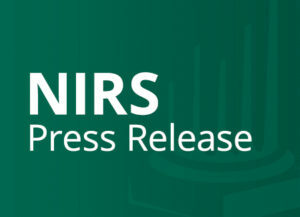 Located in Washington, D.C., NIRS’ diverse membership includes financial services firms, employee benefit plans, trade associations, and other retirement service providers.